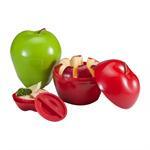 These handy, sturdy containers make it easy to take healthy snacks to school, to work or when you are travelling, and, it has a sealed container to hold your favourite dip. 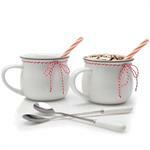 This Hot Chocolate Mug Set is a great gift for the chocoholic and includes a set of two stoneware mugs, two stainless steel spoons and two reusable straws with a candy cane stripe. It really works! 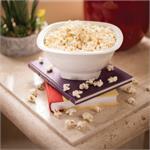 Pop light, fluffy popcorn in your microwave in minutes with no oil required. Not only does the microwave popcorn popper make tasty, healthy popcorn, its great for heating and serving other foods as well. 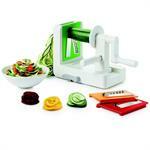 With a turn of the handle, the Nut Chopper chops nuts, candies, chocolate and cookies into small pieces. 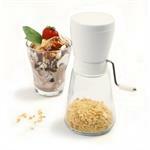 The glass container holds 1.25 cups(300ml) of chopped nuts. Add chopped nuts to your baking and salads. For use left or right handed. 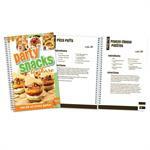 When it's time for a get-together, Party Snacks To Share Recipe Book is here to inspire your creativity and taste buds with over a 100 great recipes and ideas. 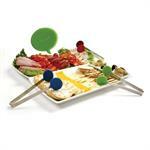 Whether you are wanting to serve scrumptious d'oeuvres, munchies, dips, or cheeseballs. 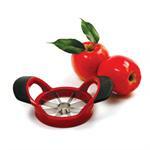 Clever shape lets you push treat up from the bottom. No drip design allows you to easily drink the last drops. 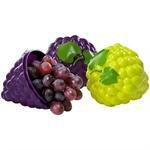 Tight fitting lid is easy to pop off but is leak proof and ice pop makers can stand on their lid. 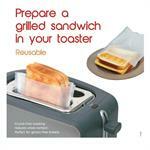 Toaster bags were designed to take advantage of the convenience of a toaster to make grilled sandwiches. Convenient for travelling to make toast or re-heat your own gluten free bread without worrying about cross contamination. 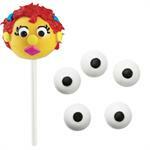 Put a fun face on your cookies, cupcakes, candy, and cake pops with Wilton's candy eyeballs. Candy eyeballs are the perfect way to add personality to every party. 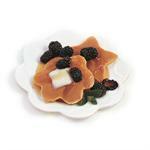 25gm package contains approximately 62 pieces. 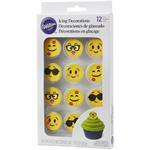 Add personalization and character to your cupcakes, cakes, and any baked treat with these cute emoji themed icing decorations. Package of 12 with 3 of each style. 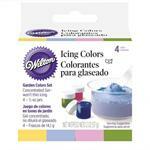 Wilton's set of magenta, orange, teal, and purple gel food colours are concentrated and work great for cake batters, icings, eggs & more. 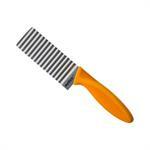 To tint, add small amounts of colour until desired shade is achieved. Colours will deepen over several hours. Buttercup yellow, delphinium blue, aster mauve, and juniper green. Wilton's icing colours are made of concentrated gel so you use less and it won't thin your icing - colours can be used as is, or mixed to create your own blend of colours. 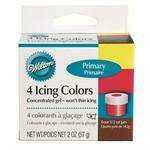 Concentrated gel icing in 4 primary colours; lemon yellow, Christmas red, sky blue, and brown. Use as-is or mixed to create your own colours. 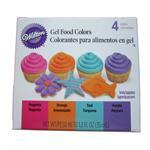 Gel colours will not thin your icing and you can use less. 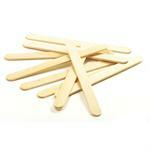 Package of 100 wooden treat sticks are great for frozen treats, cakesicles, caramel apples, crafts and more. 4.5" length. 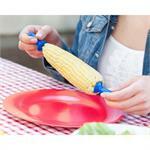 Stop fumbling around in the drawer looking for your corn holders. This set of 4 pairs, lock together making them easy to find and safe from accidentally getting poked by the pins. The oversized handles are easy to hold onto. 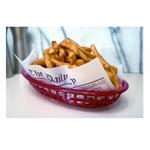 Bring back memories of the old diner with this set of 6 retro inspired pub baskets. 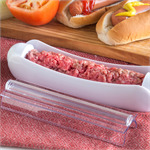 Line your baskets with a grease proof basket liner and you can show off your burgers and fries, hot dogs, and sandwiches. 2 books in 1. 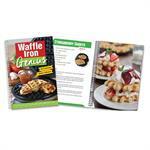 Enjoy your campfire for more than just s’mores! 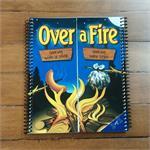 The Over A Fire cookbook by RADA is full of simple recipes for cooking on a stick, hobo style (foil packet) or using a pie iron. The S'mores GloStix™ unique glow in the dark handle makes it easy to find your stick at night and around the campfire. 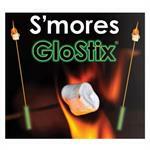 Made of environmentally friendly bamboo you can use your S'mores GloStix to toast marshmallows all weekend.